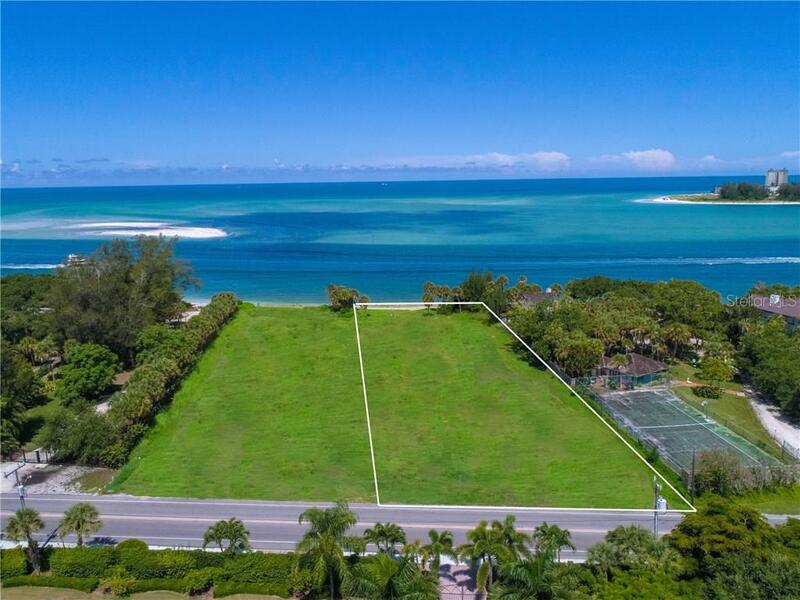 The best of all worlds – a spectacular North Siesta Key Gulf-front estate-sized parcel to build your custom home and create a special island lifestyle. 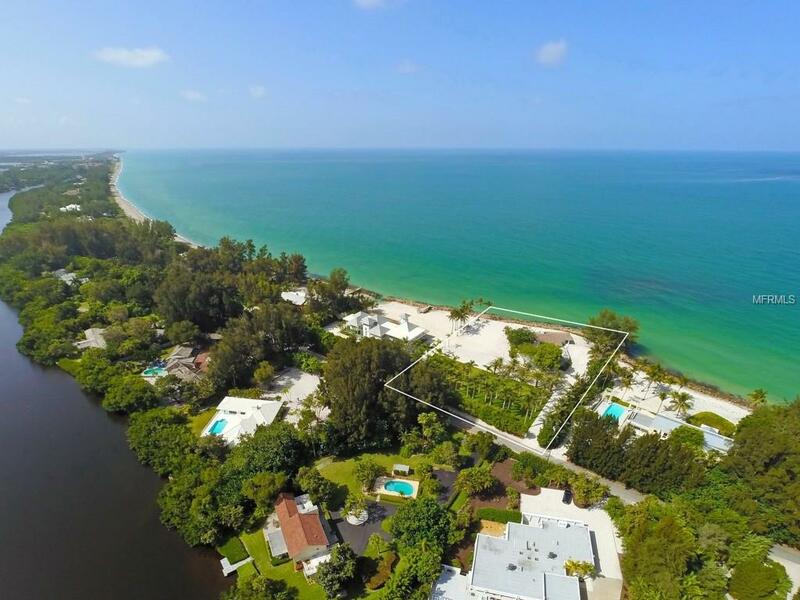 This lot offers 100 feet of Gulf-front living and panoramic water views on a 0.86 acre (37,733 square feet) building site with additional potential to build a guesthouse. Savor blazing sunsets in a most coveted location surrounded by other multi-million-dollar estates. Concrete seawall with rock revetment and access to the sand and azure Gulf waters for swimming, fishing, kayaking, paddle boarding and dolphin watching. At night, you’ll enjoy sparkling views to the north of downtown Sarasota, Lido Key and Bird Key. This property is close to the world-famous, powdery white sands of Siesta Beach, rated #1 in the US and #5 in the world. Discover the restaurants and shops in quaint Siesta Village. Just minutes by auto across the bridge to downtown Sarasota, considered the cultural gem of Florida’s west coast, you’ll find abundant urban, cultural and social activities including fine dining, a world-renowned art museum, galleries, ballet, symphony, opera, theater and charitable events. This lot is convenient to Sarasota International Airport, private aviation and multiple golf courses. Easy access to Tampa, Naples and Miami. 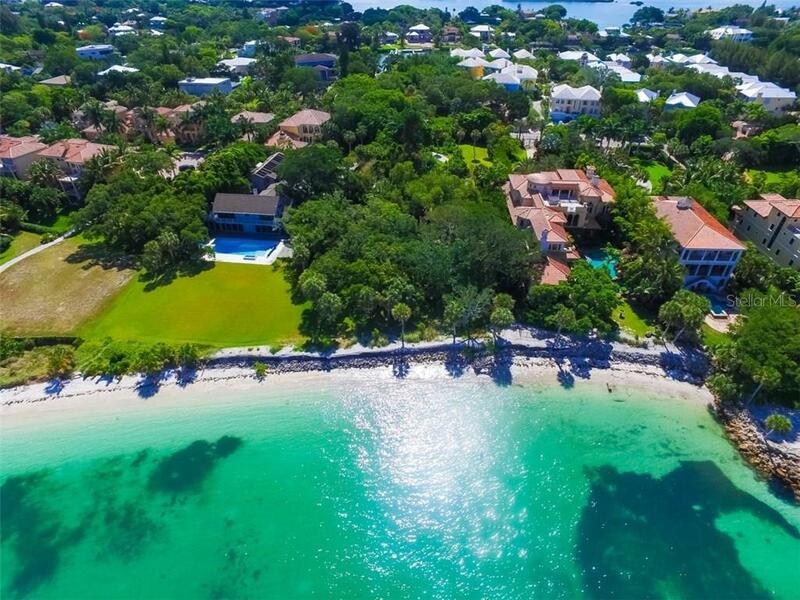 This property is one of few remaining Gulf-front parcels available on Siesta Key that is able to accommodate a large estate home. Also available for sale with adjacent property - 4153 Higel Avenue. Seller financing offered.